"I am an artist. Always, as soon as I get some free time, I filled his drawing. But now, all my work is very drawn to this ancient art, ancient Georgian art cloisonne. This technique is very ancient roots begin to grow from the beginning of the century 6-7. 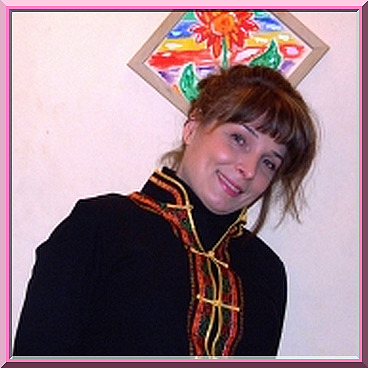 "Partition enamel" is well developed in ancient Russia, Greece and has a centuries-old tradit"
I am an artist. Always, as soon as I get some free time, I filled his drawing. But now, all my work is very drawn to this ancient art, ancient Georgian art cloisonne. This technique is very ancient roots begin to grow from the beginning of the century 6-7. "Partition enamel" is well developed in ancient Russia, Greece and has a centuries-old tradition in Georgia. Today, as far as I know, Greece is a skill practically disappeared in Russia, I know, there is also actively developing. In Georgia, this tradition has also given a new breath. However, despite the similarity of execution, our "septal enamel" and Russian differ significantly from each other. This is shown in the technical form and processing and, of course, themselves ornamentation and colors. In his works, I often use the work of their favorite artists, including, for example, Modigliani and Gustav Klimt. However, I am painting transforms them into jewelry painting, modify a little bit, a little supplement, make a collage, and then come up with all its form and design. P.S. By the way all my jewelry work Hatuna performs itself, starting from the sketch to the finished and jewelry. If you like jewelry Khatuna, you can contact her through her Facebook page or visit her jewelry boutique at: Georgia, Tbilisi. Sq. Rose Revolution number 1. Hotel RADISSON BLU IVERIA.